I told you about the Knitting in the Waiting Room project recently, and also explained a bit of the background inspiration in my earlier article Whenever Shawl Design Inspiration Hits You. I’m very happy to present the fourth shawl knitting pattern from this project: The Along the Way shawl. 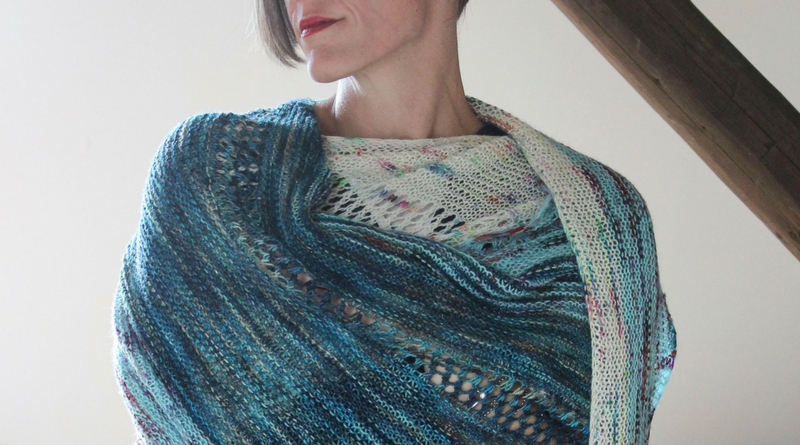 Along the Way is a triangular shawl worked sideways using garter and lace stitches. It’s an easy shawl pattern with written instructions suitable for killing time in a productive way in any waiting room you might come across. The pattern is available on Ravelry and here in the shop. Use the coupon code “waitingroom30” (without the quotes) to get 30% off until next Friday!